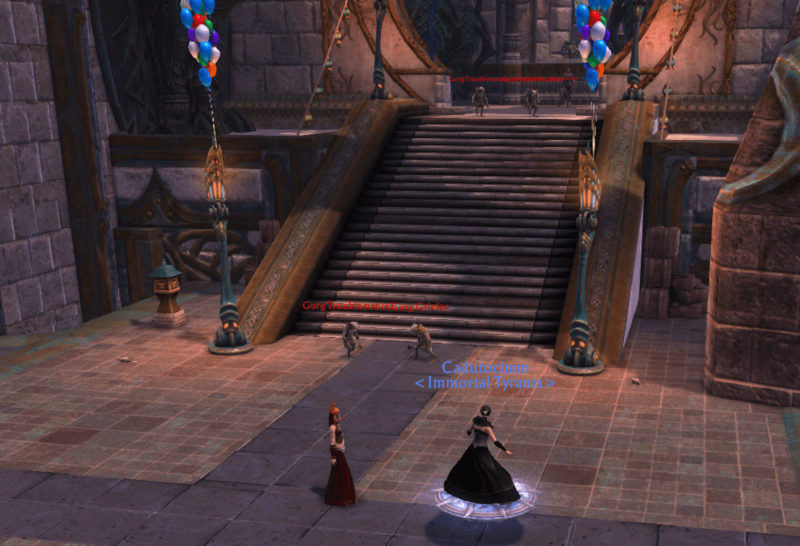 A Questline added during the 5th Anniversary Carnival Celebrations. 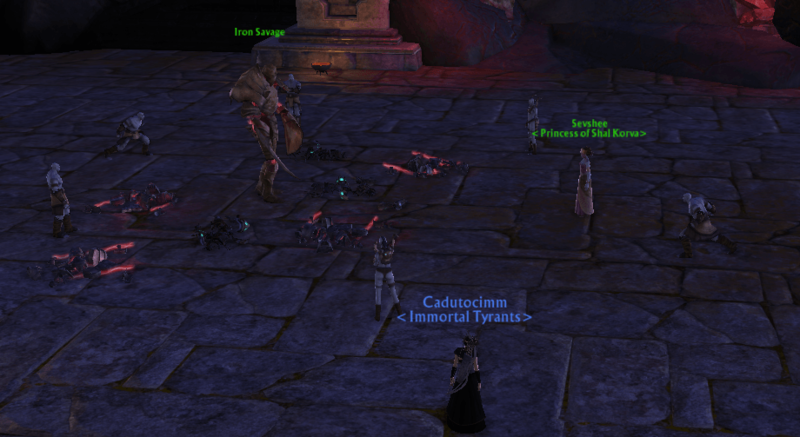 This is a level 65 questline. 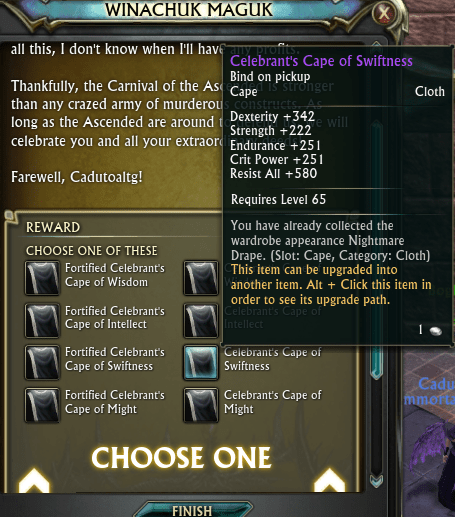 This questline is only available during the Carnival World Event. It can only be completed once per character, it will not refresh each year. 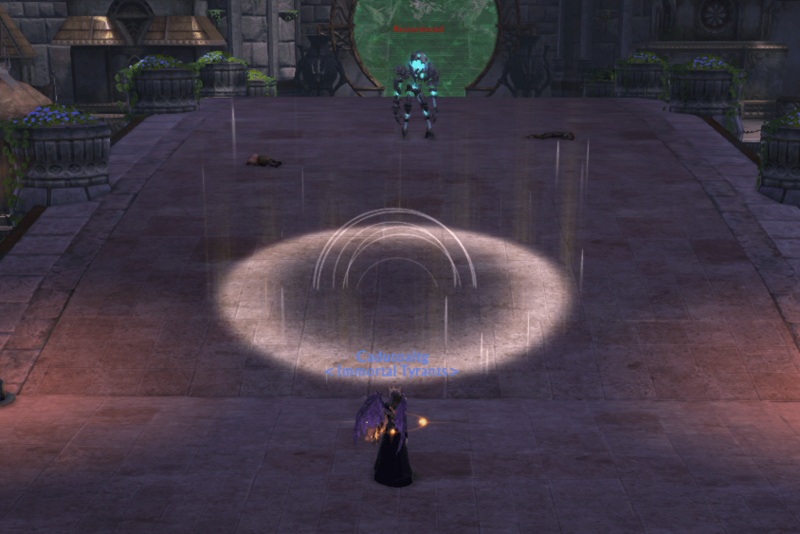 Just across the platform at /setwaypoint 12559 11662 is Winachuk Maguk, go speak to him to hand in the quest! Participate 5 times in any of the Carnival Games. When you are finished, return to Winachuk Maguk and speak to him. Your quest objective will now change to: Gather the report of a Carnival Observer. Your quest objective will now change to: Gather the report of a second Carnival Observer. Your quest objective will now change to: Gather the report of a third Carnival Observer. 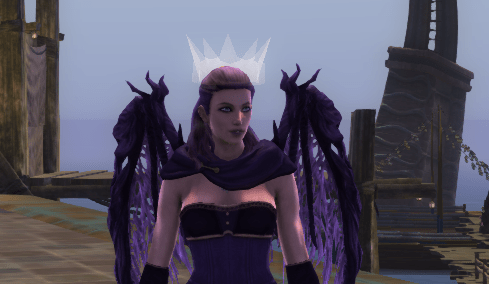 Go back to Winachuk Maguk in Tempest Bay in the Docks at /setwaypoint 12559 11662 – Hand in the quest. 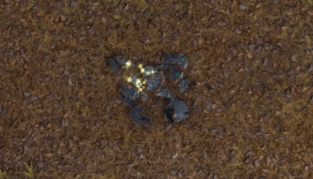 All around the quest circle on the ground will be sparkly Launcher Pieces to pick up. Thankfully you don’t have to pick up 50 of them, they will count as more than one, generally between 4 and 8. Your quest objective will change to: Target Celesterium and use the Extraction ability. You will be shot up in the air! You will also notice orbs called Celesterium in the air around you. The Launcher that you fixed can be used again and again, so don’t worry if you don’t grab the Celesterium on your first try! The trick is to use the Launcher then SPAM [TAB] (to go to next target) while also spamming the Extraction ability. You may find this easier if you put the Extraction ability on your ability bar so it can be spammed with a keyboard press. 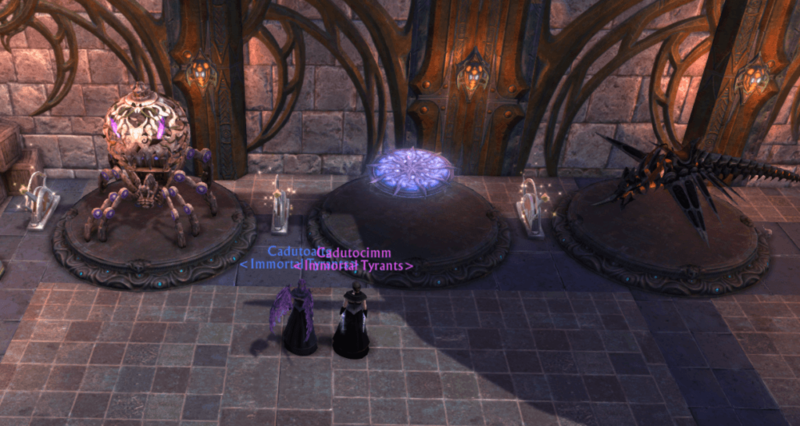 Collect 20 of the Celesterium. 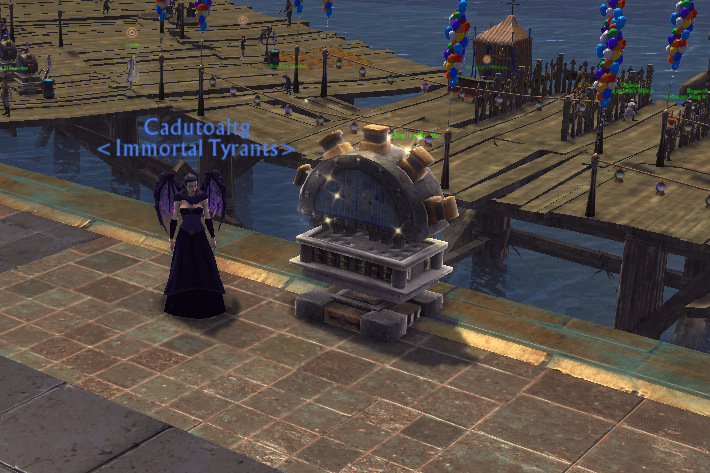 Your quest objective will change to: Bring the Celesterium to Winachuk Maguk in Tempest Bay. These guys are mounted up and very fast moving. You need to get very close to them and right click them to knock them off their mounts. You have 10 minutes to get all 8 of them! When you have finished go back to Winachuk Maguk in Tempest Bay in the Docks at /setwaypoint 12559 11662 – Hand in the quest. 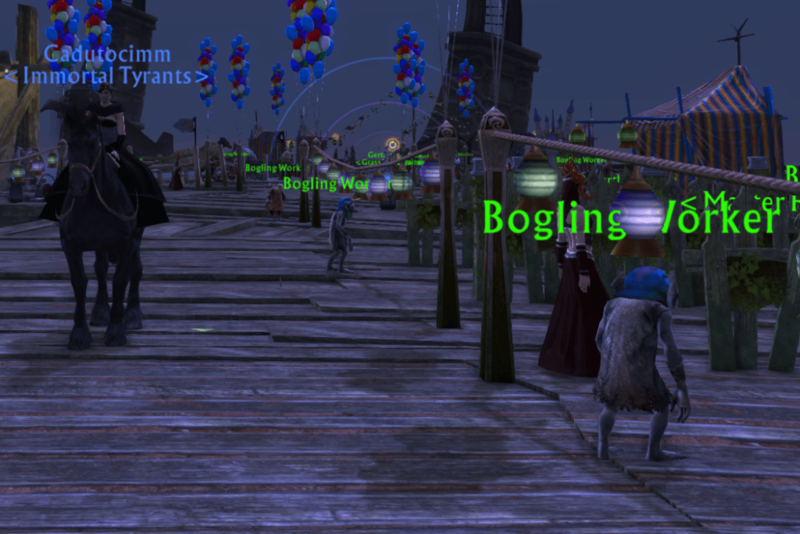 You will find lots of the Bogling Workers around the Carnival Games on the docks of Tempest Bay. You will have a quest item called ‘Move-Along’ attached to your quest sticky. Using the ability will ‘chain’ the Bogling to you. 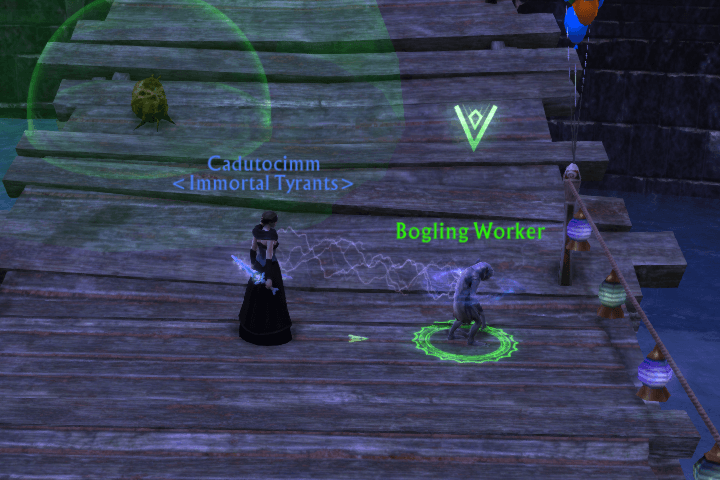 You need to drag the Bogling Worker back to the Containment Field up on the Pier. Collect 4 of them and drag them to Containment. You can only collect one at a time, try to avoid the green bubbles as these will knock you around. 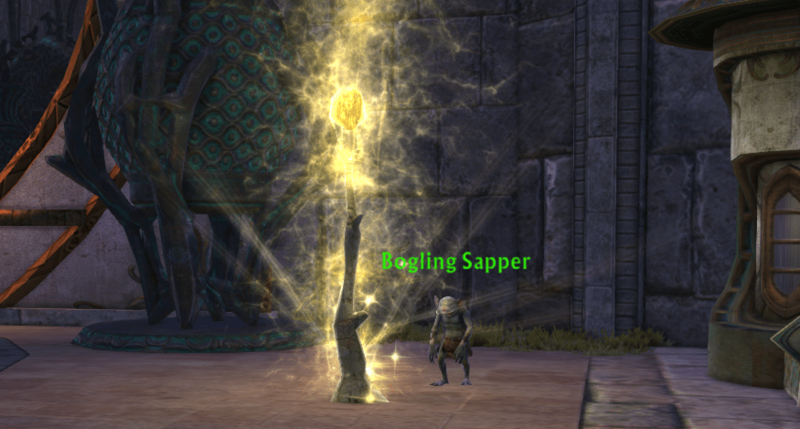 When you have collected 4 of them talk to ‘Kwip’, the bodling stood at the edge of the Containment Field. Then pull the lever on the edge of the Containment Field. 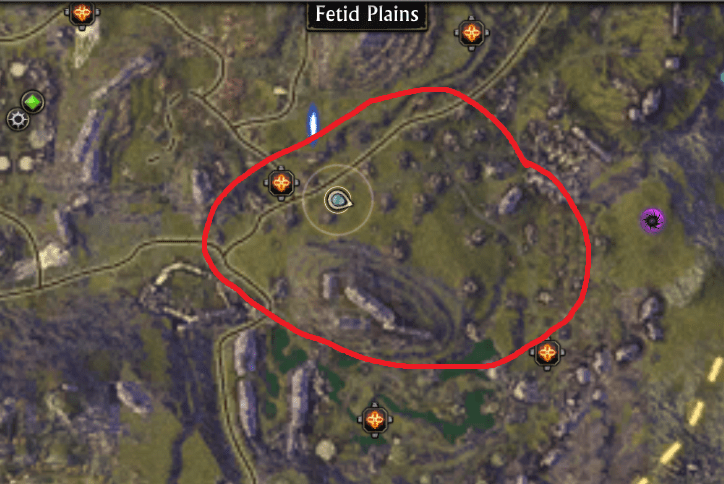 Near the questgiver are 3 platforms with 3 different mounts on them. 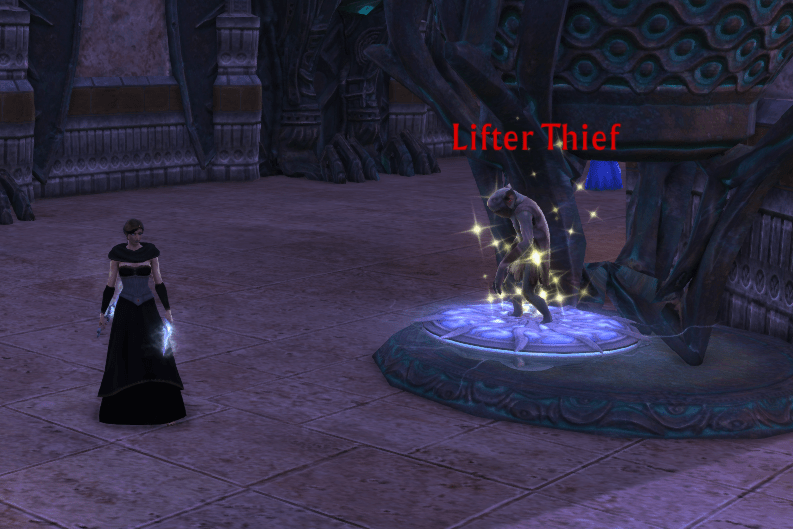 Pull the lever next to one of the mounts to select it for the quest. Your quest objective will change to: Use a Maguk mount ability. Your main ability bar will have been replaced with a special mount ability bar with lots of different abilities! Your mission is to make it from one end of Tempest Bay to the other on all three mounts. This may seem like an easy task, however there are boglings on the way constantly trying to dismount you, if they succeed then you will have to start back at the beginning again. STOP RIGHT NOW! 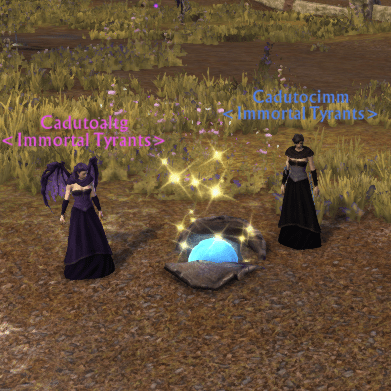 If you have a friend or a guildy, or are willing to beg in public chat then you can simply get someone to summon you to the finish line. You will need to do this 3 times to complete the quest. A guild banner will not work, it has to be the orange tier friend summon or Planewalkers call. You can also do this with an alt account if you have used the ascend a friend code on that account. If you don’t have this option.. then you are gonna have to do it the hard way! Use the abilities you have been given to stealth, be immune, knock back enemies, imprison them and jump at the designated spots. 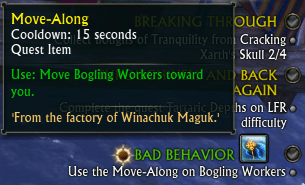 If you get dismounted, you can use the Winachuk Return button to get back to the start area quickly. I highly suggest you do everything you can to reduce lag before attempting this, and turn your graphics settings waaay down if you usually experience lag in crowded areas. You will mostly be using abilities 1 and 2, both have a 10 second cooldown. You will also use button 5 which has a 15 second cooldown. And button 7, the long jump in the certain locations. On the right is a video of the process. This works for all 3 mounts. Press [ . ] 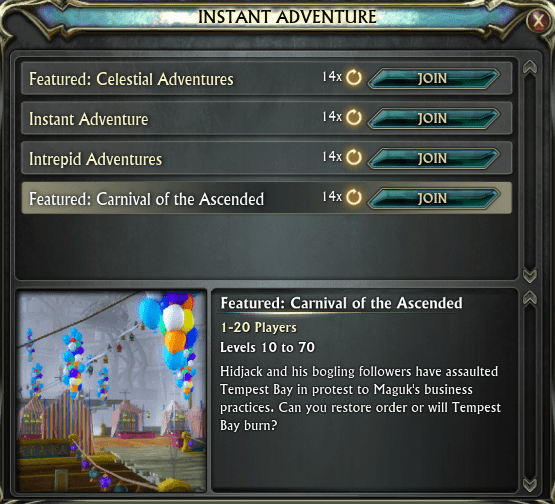 to open up the Instant Adventure menu and hit join on the Carnival of the Ascended Adventures. Complete 10 of the quests. 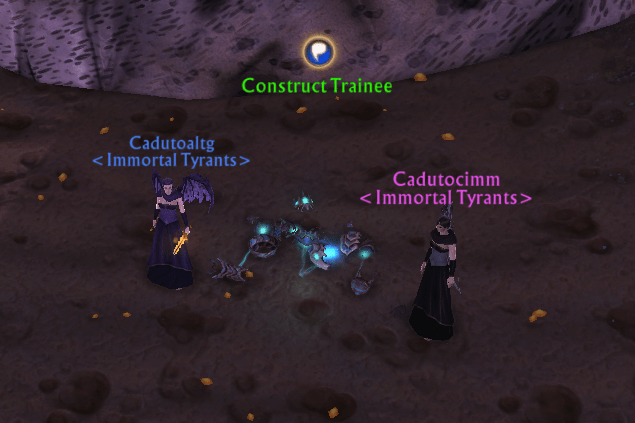 Here you will find Trainee Remains on the ground, right click to collect them. 3 bad guys will pop up and start attacking you, kill them! Your quest objective will change to: Speak to Atrophinius in Hailol, The Dendrome. 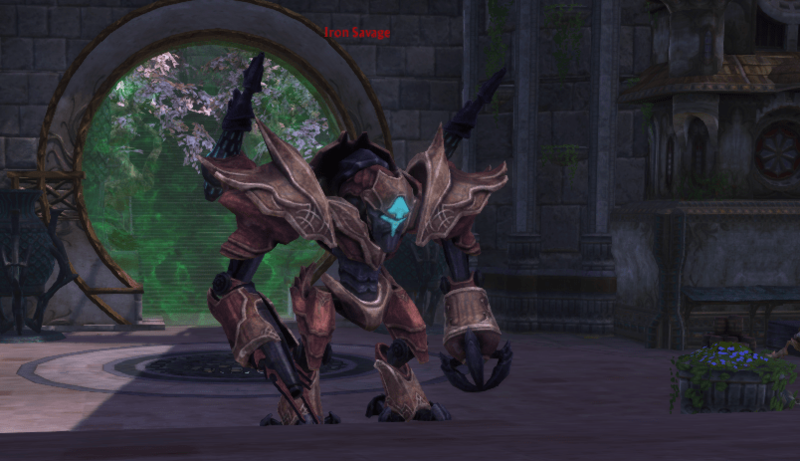 You will find the Reprogrammed Trainees in the quest circle just to the north of you at /setwaypoint 2450 4186 – Kill 9 of them! 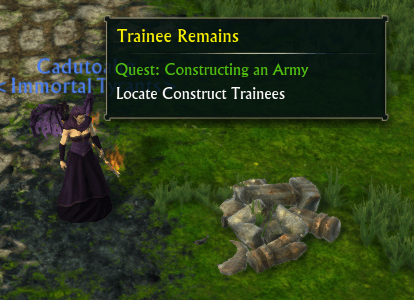 All around the Nug Village you will find Construct Trainees, right click to talk to them 5 times, you will find there are only 2 or 3 up at a time so it will help to switch shard to find more. Half way down the stairs will be a large portal covering the opening, walk into it. 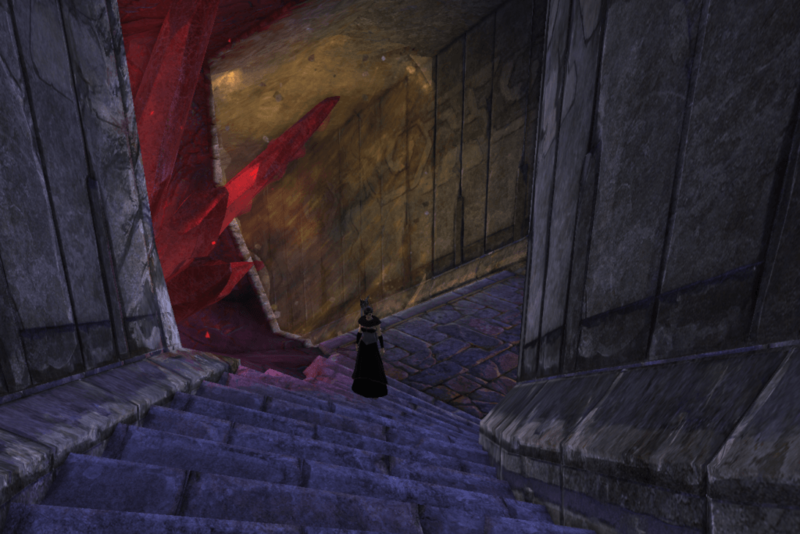 Continue down into the cave to find Sevshee talking about her Iron Savage construction. There will be a lot of talking and then the Iron will *spoiler* turn out to be a bad guy. Your quest objective will change to: Defeat the Iron Savage. You only have to kill the Iron Savage, dont worry about the little guys that join the fight. History: You now have a choice between two different quests. 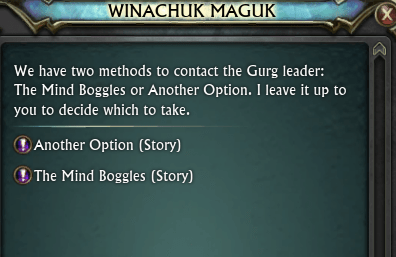 Back when this questline was first released, ‘The Mind Boggles’ was the only option here. 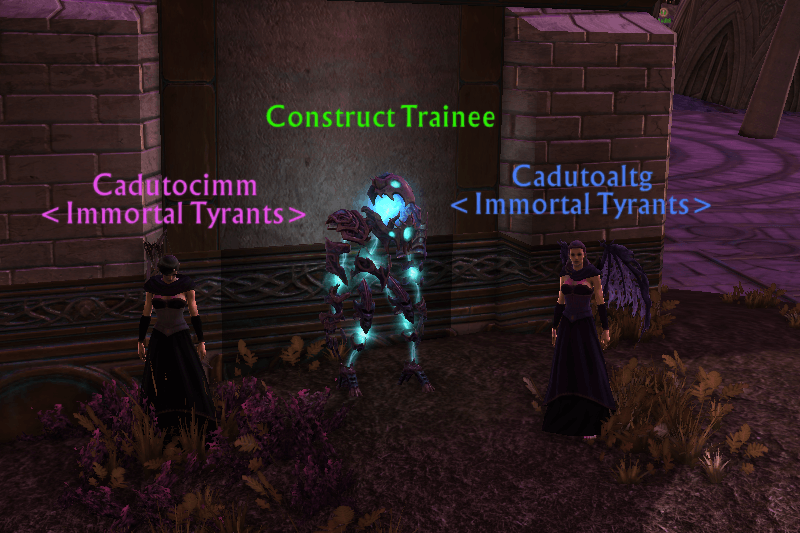 The Mind Boggles is a quest that involves some very careful dimension building that can be a little buggy. So the quest ‘Another Option’ was added to give players a choice. If you pick up one of these quests and decide you want to do the other one instead, then simply abandon the quest and go back to the questgiver for the other one. WARNING – Accepting this quest will place 5 Dimension items in your bags. If you have minion sender (or any other add on) deleting your dimension items then you will need to turn off this feature before accepting the quest. 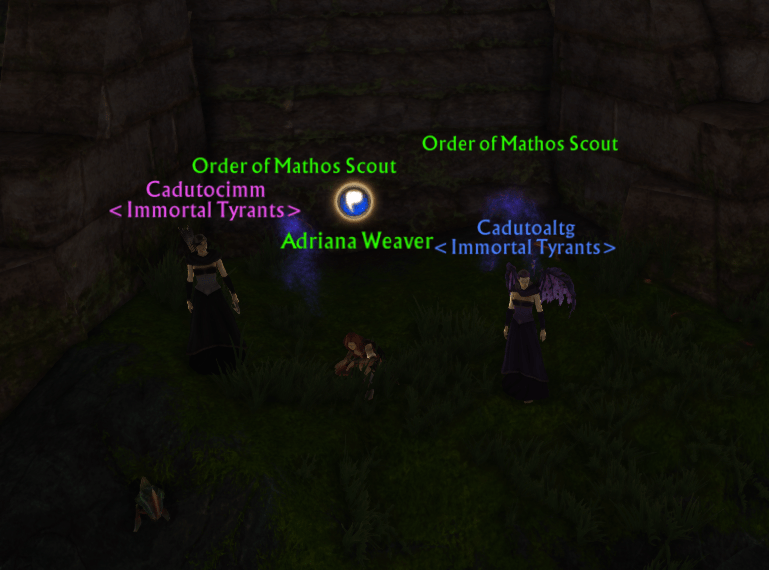 You can find Maguk’s Instructions on your quest sticky.. If you are new to dimensions then it will be worth a read! Enter a personal Dimension (it has to be your own) by pressing [ and selecting one of your own dimensions. 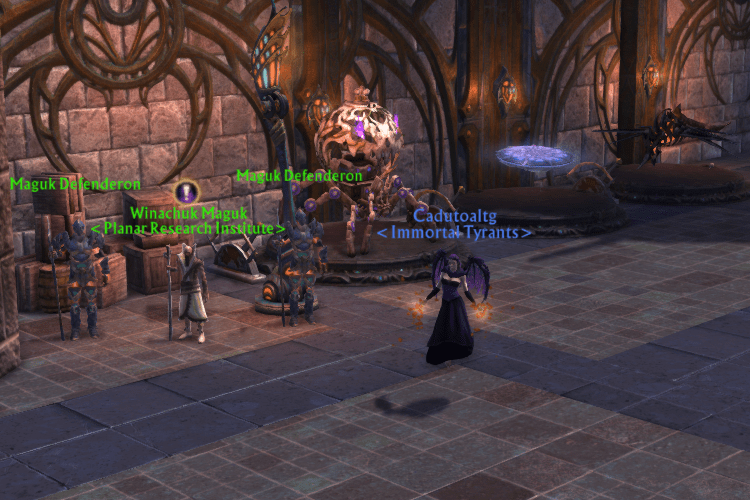 If you already have quite a few quest items then they may be muddled up between them. You can drag them into your main character bags and place them into your dimension from there, but if you pick them up again then they will end up back in your quest log bags again, so just be aware of this! Also, if you are half way through building and want to start again and pick up the alter before the 4 heads then the heads will be unselectable, use your Dimension Items List to pick them up! You need to start by placing the alter, then the 4 heads, one in each corner, turn them so they are facing each other and finally lay the branch in the middle. You may find this much easier if you use the Dimension Items List to select items already placed, as shown in the video below. 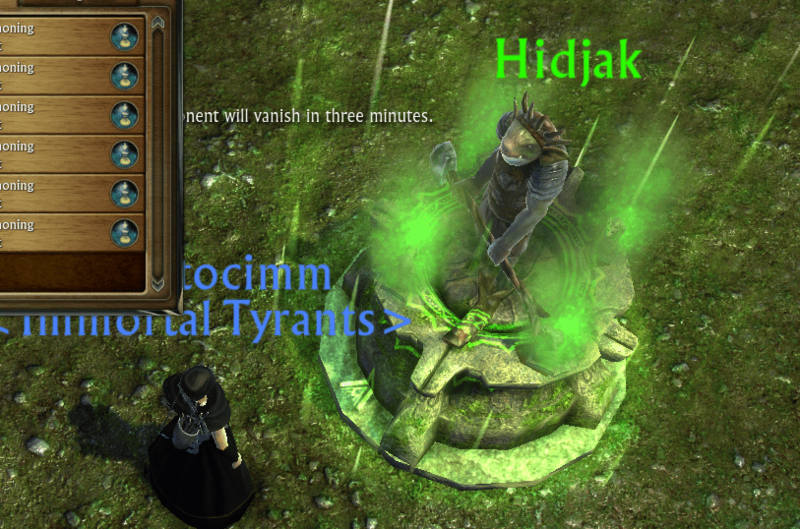 When you finish, Hidjak will appear, talk to him and then pick up all the Dimension items. 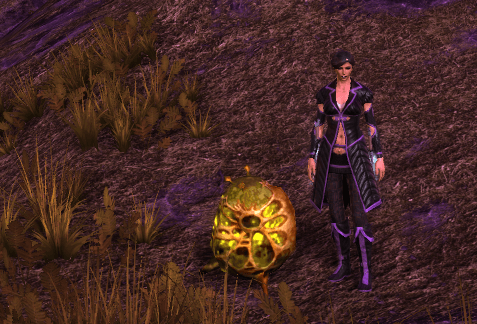 When you find a Mutant Spore you can switch shard at that spot to pick it up from all shards that its up on. 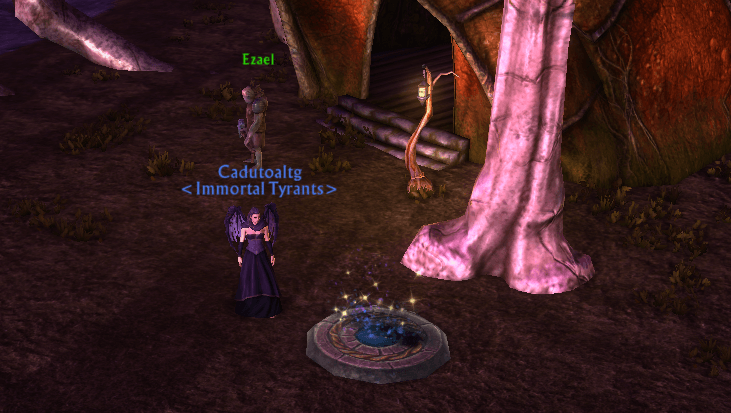 Near Ezael will be a round platform (Targeted Summoner) to click. On the docks near the questgiver at /setwaypoint 12545 11676 is the Ascendo Multiplier, a machine to click. You will be teleported to an instanced version of Tempest bay with a special questline. 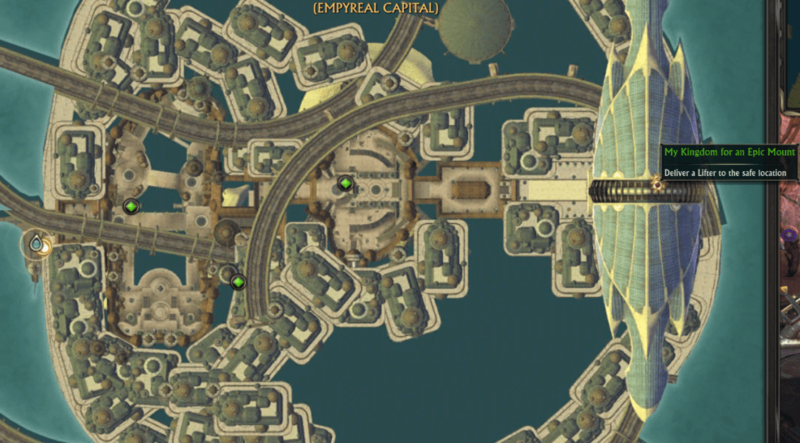 The quest area covers most of the Tempest Bay Canal. Go kill 20 of the Savage’s Minions and 4 of the Reconstructed. on your map by small blue dots. to have them be hit by a cannon! When you have killed the required mobs the Iron Savage will appear. There will be more white circles around that you can drag him into so the cannons target him. There will also be healing sticks which you can click if you find your health getting low. 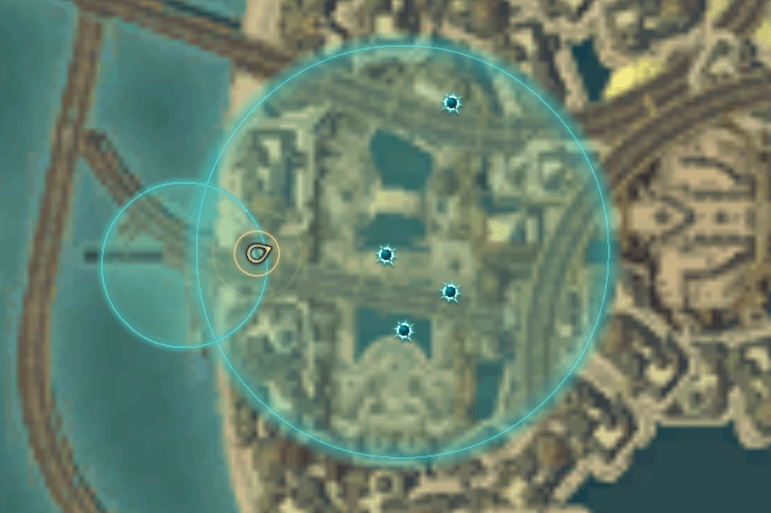 Stay out of the red circles that he drops and make sure to move to the other side of him when he casts electro jet. The quest will award you with a cape. The cape unlocks the Nightmare Drape Wardrobe.